Carrying like a work bag lets people feel free to take their own food from home to eat at work, at park, or anywhere outside home. 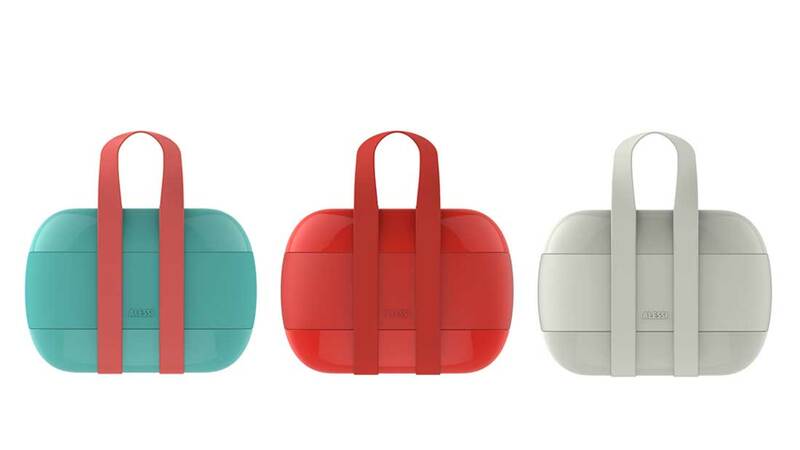 Food à Porter is a lunch box that does not look like a lunch box. 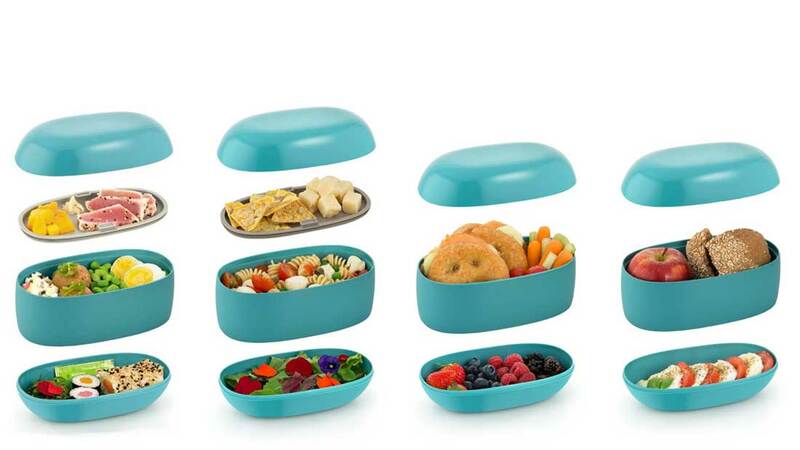 It is designed for busy people to have a little moment of joy eating their favorite food. 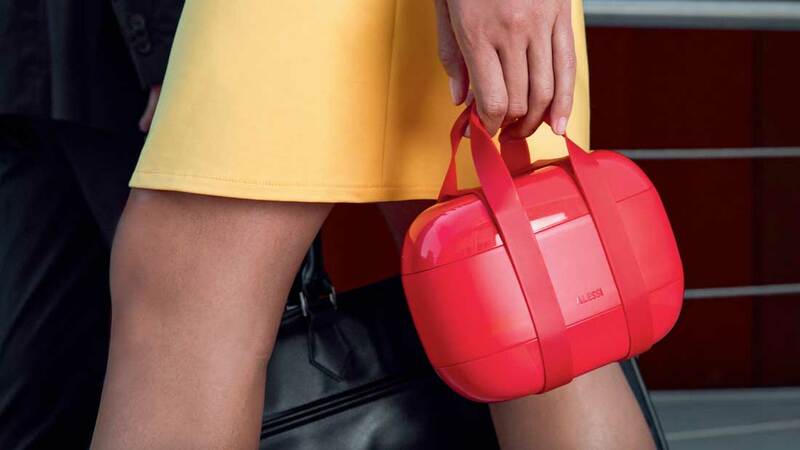 It consists of three compartments. 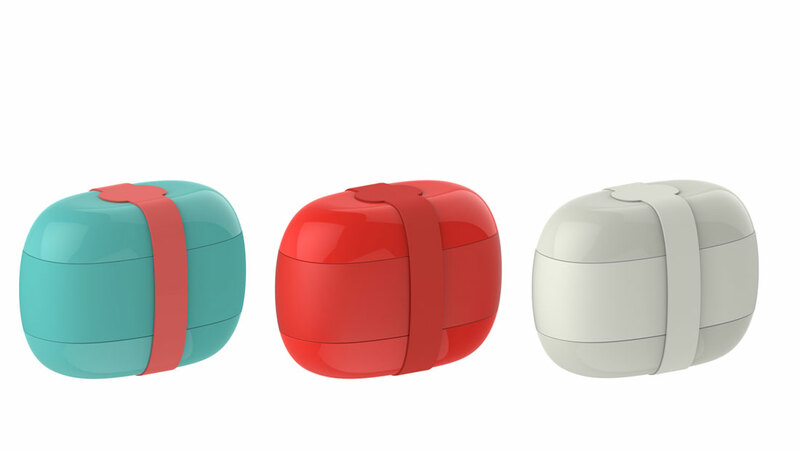 The two containers come with their own inner lids. 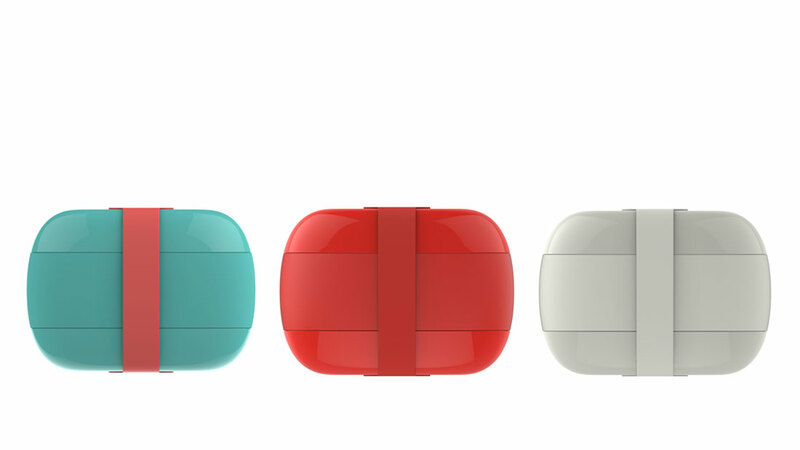 Thanks to the round form, the third compartment is created. Sweets & snacks or packaged food can be stored in the space above the upper lid. Alternatively, without using the upper lid, the increased space can store food like sandwiches, bread, fresh fruits, yogurt …etc. 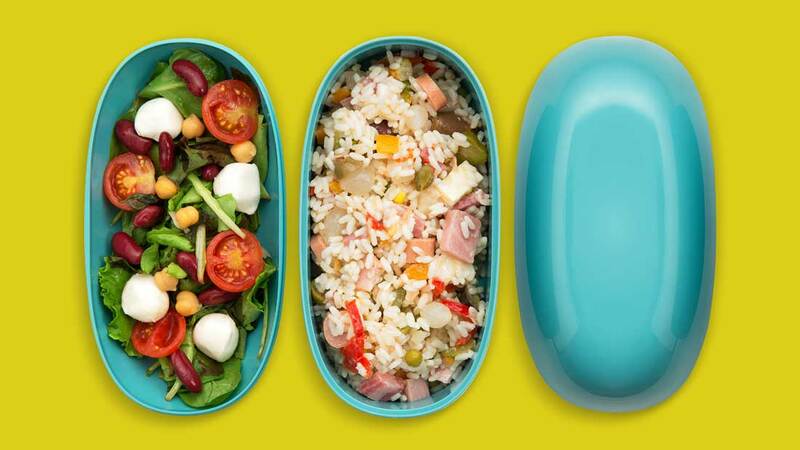 Take your Food à Porter and eat healthily whenever and wherever you have a break!